Québec Saints AFC: Three games left this season: Three games left this season. The schedule will be updated shortly. 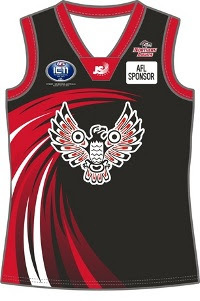 Amidst the 2011 International Championship, the Montreal Angels and the East Burwood Devils officially became sister clubs with a guernsey exchange at the Rising Sun Pub in Richmond. The intial contact between the clubs was made in January with the arrival in Melbourne of Angel player, Aimee Legault. Well received by the Burwood team, Montreal looks forward to welcoming visiting Devils to their fair city. Three Angels listed as "Players to watch"
The Montreal Angels would like to thank family, friends and teammates for their ongoing support. Special thanks from Lindsay and Margo to those who made the trek to the West side for the pool party/bbq fundraiser. "We will miss playing in the ECAFL but are very excited to travel to Australia to represent Canada and to see Aimee of course! Don't worry, we will be back for finals!" forward to playing alongside Melanie Billing for the Northern Lights Team Canada. Proud mother of two, her ball handling skills did not go unnoticed during the selection camp in Ontario this past April. 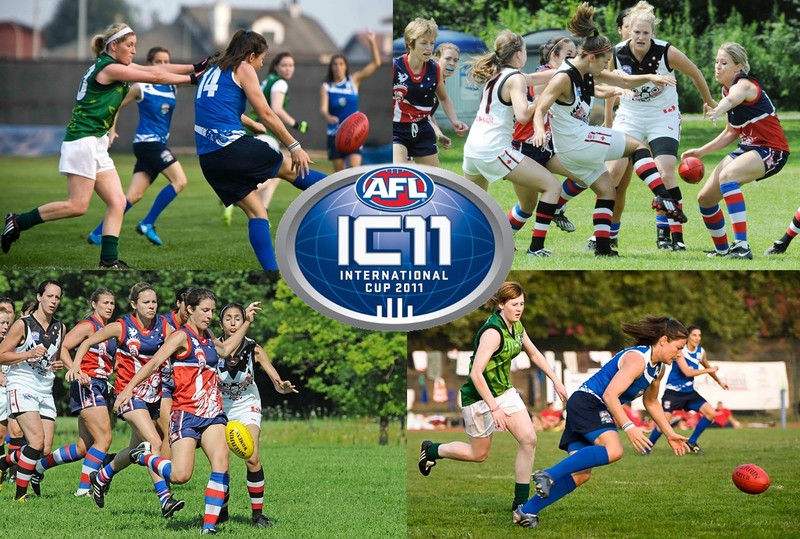 The Montreal Angels Women's Aussie Rules team is proud to announce two of their members: Margo Legault and Aimee Legault, have been named in the Canadian National squad to compete at the fourth International Cup of Australian Football in Sydney/Melbourne, Australia in August. The sisters represented Canada last year in the Canadian Northern Lights first ever victory against the United States, both Margo and Aimee playing key roles in the victory. The news comes on the back of the news Quebec Saint Kyle Graham has made the men's Canadian Northwind squad for IC2011. The first training camp/tryouts for the 2011 Northern Lights Team Canada was held in Toronto this past weekend. Montreal Angels Lindsay Belzie and Margo Legault represented Quebec, with Ashley Gasperino and Aimee Legault not being able to travel the distance to attend. The final selection of players which will be travelling to Australia to compete in the first ever Women's International Championshop (IC2011) will be officially announced on March 27th. The Montreal Angels and the Quebec Saints would like to wish all players Good Luck. MONTRÉAL ANGELS WANT YOU IN 2011! Looking for a new challenge in 2011? Why not try Aussie Rules football, it's a fast paced exciting game that you will enjoy, have fun doing it and get super fit as well as meeting lots of new friends. Never played before? That's fine most of our players are new to the game and we will teach you every step of the way. 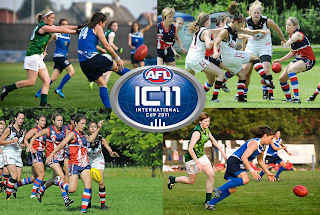 Check out the above promo video made by women playing Aussie Rules in Europe.